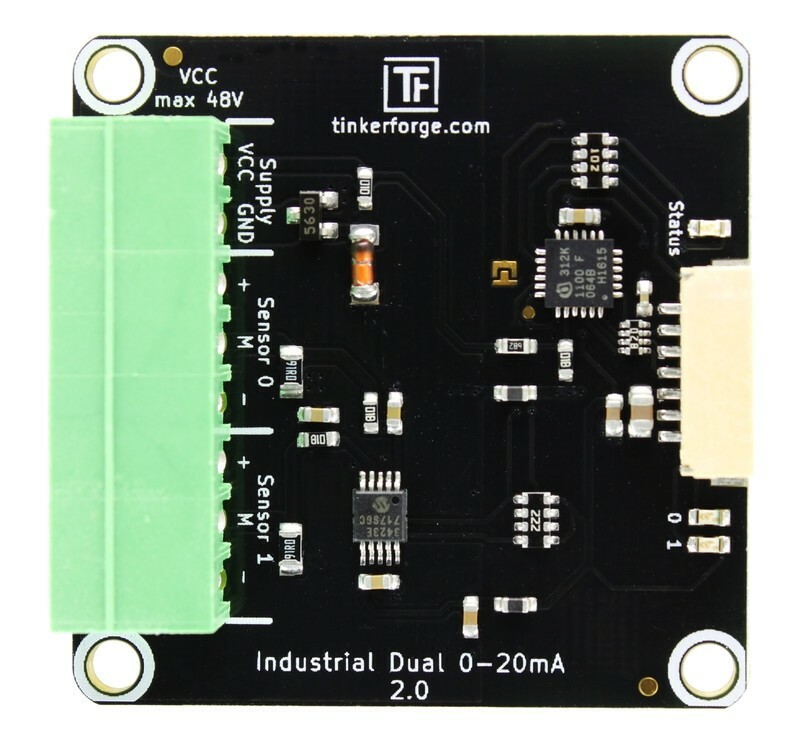 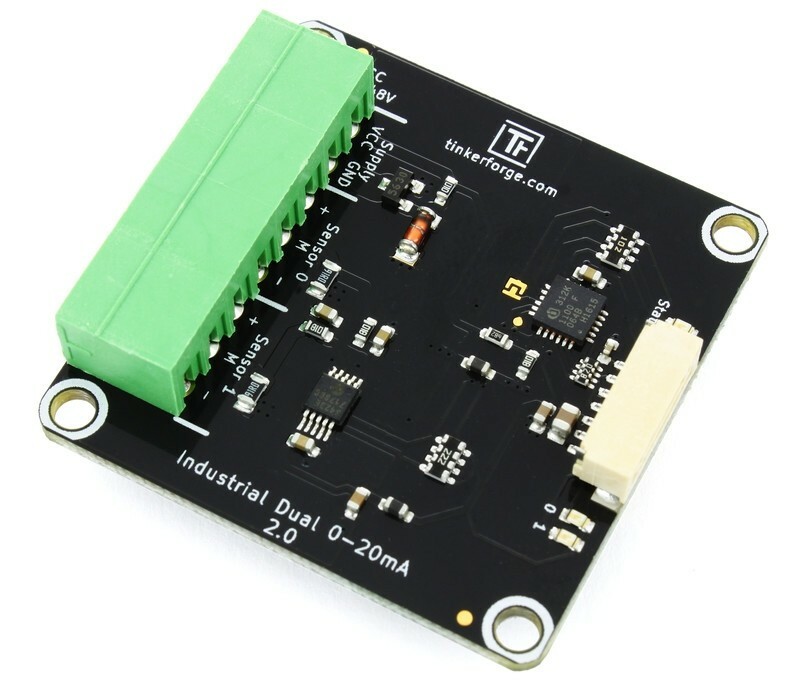 The Industrial Dual 0-20mA Bricklet 2.0 can be used to extend the features of Bricks by the capability to measure currents between 0 and 22.5mA. 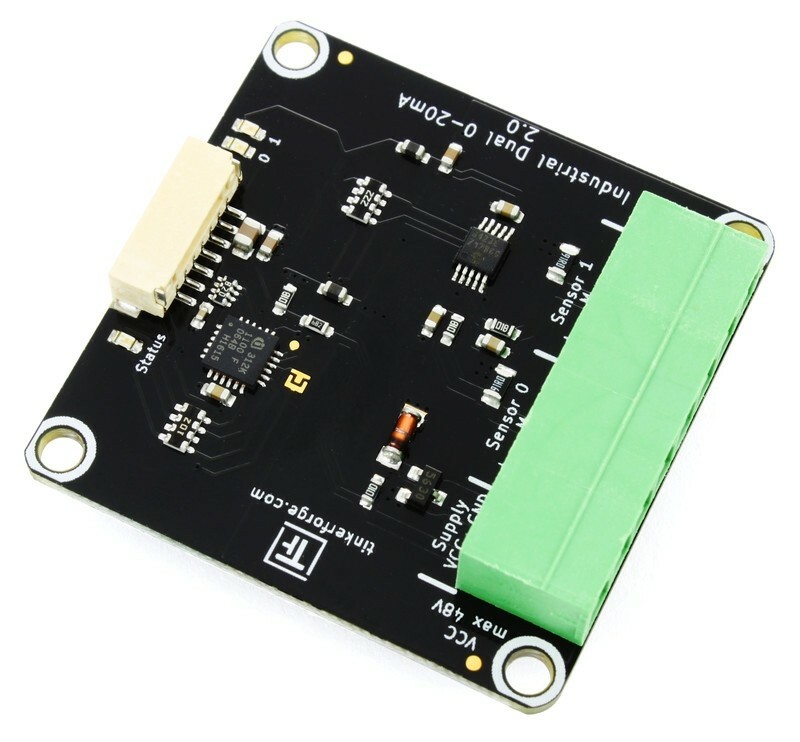 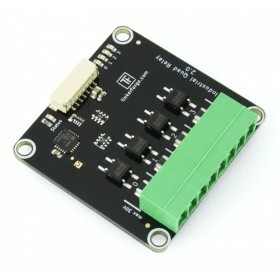 This Bricklet can be used to read out up to two IEC 60381-1 type 2 and type 3 sensor. 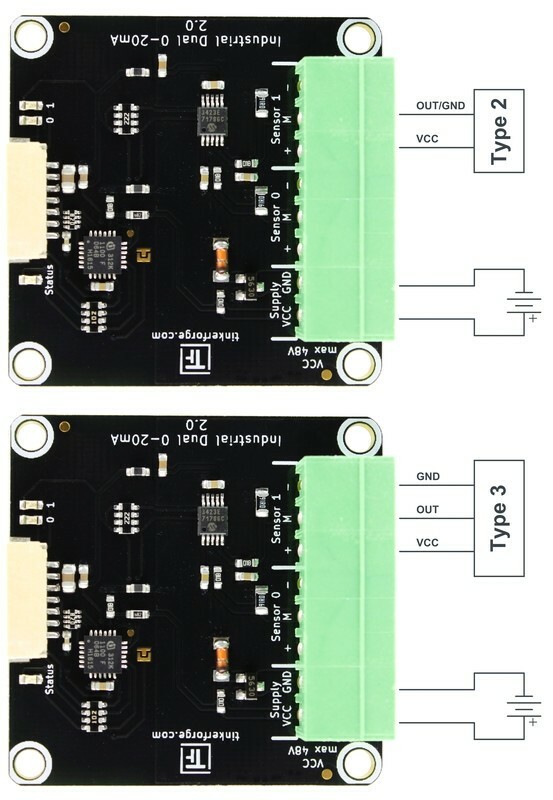 The measured current can be read out in nA. 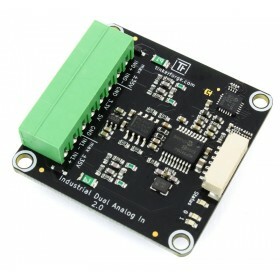 With configurable events it is possible to react on changing currents without polling. 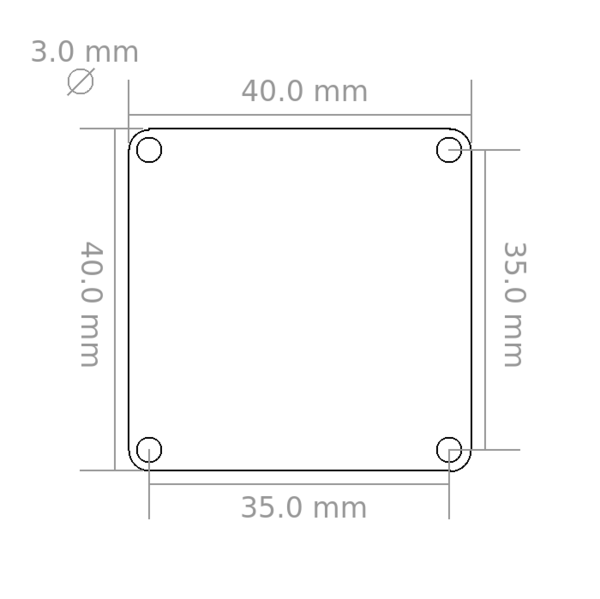 This Bricklet ist not galvanically isolated to the Tinkerforge system. 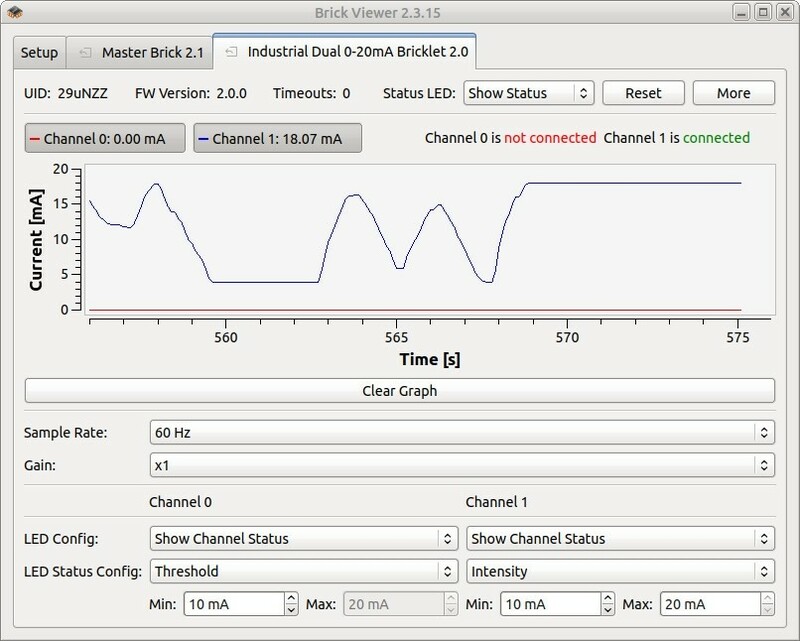 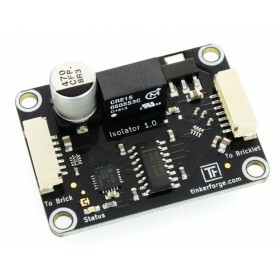 This means that there is a direct electrical connection between the terminals of the Bricklet and the rest of the system. 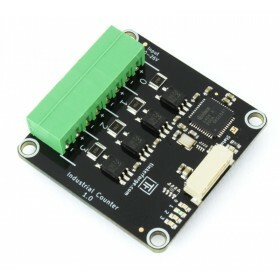 Dependent of the application this can lead to undesired connections, ground loops or short circuits. 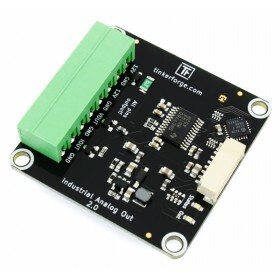 These problems can be prevented by using the Bricklet together with a Isolator Bricklet. 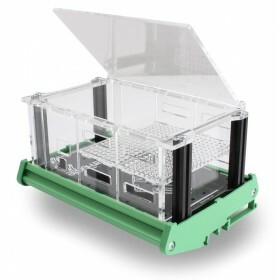 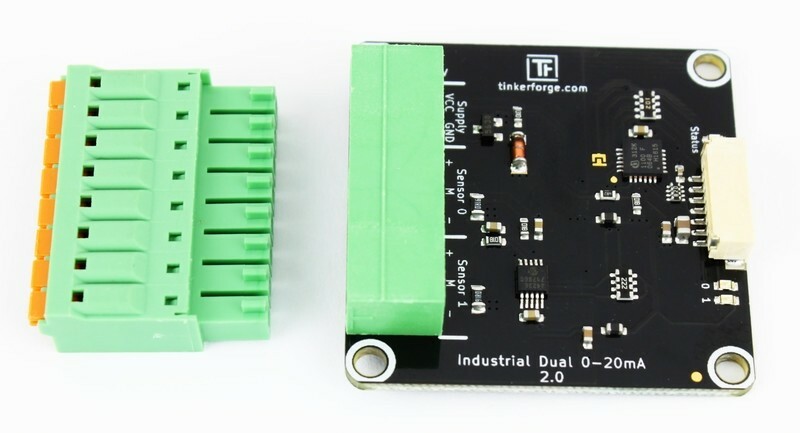 The Industrial Dual 0-20mA Bricklet 2.0 has a 7 pole Bricklet connector and is connected to a Brick with a 7p-10p Bricklet cable.